These are our experiences with personal car shipping. The dos, don’t, positives and negatives of shipping your vehicle (when you move or when you vacation), and what to watch for so you don’t get scammed. This is the fifth year Hubby and I have snowbirded to Florida from our home in New York State. We own a condo in the St. Augustine area. Since we are on the beach, we chose to not own a car in Florida, or even lease a vehicle and leave it in our parking garage. The salt rusts everything metal down here very quickly (as I said, we are on the beach), and the last thing we want to deal with is car maintenance when we arrive down south. In the past, we have driven one of our vehicles down to Florida, and then Hubby would rent a car while we were in Florida. Due to restrictions with our auto insurance, he could not just do one rental for the entire time in Florida. He needed to break up the rentals to a 28 day rental from one company, then a 28 day rental from a different company, etc. We once again drove a vehicle down to Florida. However, we still wanted a second vehicle for Hubby while we were at our condo. This year when Hubby was pricing car rentals, he looked in Jacksonville, St Augustine and Daytona Beach for the best rental prices. Ironically, each area was the “best” price one of the three months were to be in Florida. That was unfortunate because we’d have to drop off a car and instead of walking to the next rental counter, we’d have to drive to the next town to pick up the next rental. That was not very convenient, to say the least. The rentals this year were also significantly higher in price than in the past. January was cheap, February and March? Not-so-much. Hubby then began thinking about shipping down his little Honda Element. We had shipped a car in the past. Hubby actually bought this little Honda in Salt Lake City. His company was (is) based there, and he’d fly in to Salt Lake every three weeks to work from the office. As anyone who has ever been to Salt Lake City knows, it is much easier to get around with a car. Renting was an option, but in the end, he decided to buy and let the Honda sit in the carport there when he wasn’t in town. His partners would also borrow his Element when one of their vehicles was in the shop, so the Honda got some exercise even when Hubby wasn’t in town. When we closed up in Salt Lake, it was part of a cross country road trip. We drove from Buffalo to Denver for a blogging conference for me, to a trip through South Dakota (vacation) and points north (we adored South Dakota and would like to do that again!) to Salt Lake City to Las Vegas (to visit Hubby’s Mom) to San Diego (for a second blogging conference), and drove home. We shipped the vehicle from Salt Lake to Buffalo by dropping it off at a facility. We packed 100 pounds of household goods inside before shipping. The car sat at the transport facility for a number of days, and then went on to Buffalo when a space was available on a shipper. My brother met the driver at our house, and paid him in cash the balance due on the shipment. These, we found out later, are just for brokers. Hubby found a broker, the man assured him he could ship the vehicle on such-and-such a day and all would be well. That day came, and no pick-up. Hubby called the driver whose name he had received the morning the Honda was supposed to be picked up, and the driver informed him he wasn’t scheduled to pick up the car until the following Thursday (the original agreement day was Monday). That was when Hubby decided to bail, and we left in the middle of the day to begin driving south. The woman from the company the broker contracted with called Hubby back when we were several hours down the road, and really gave us a lesson on how this works! When you contract with a broker, the car and ship/pick-up dates go up on a board. 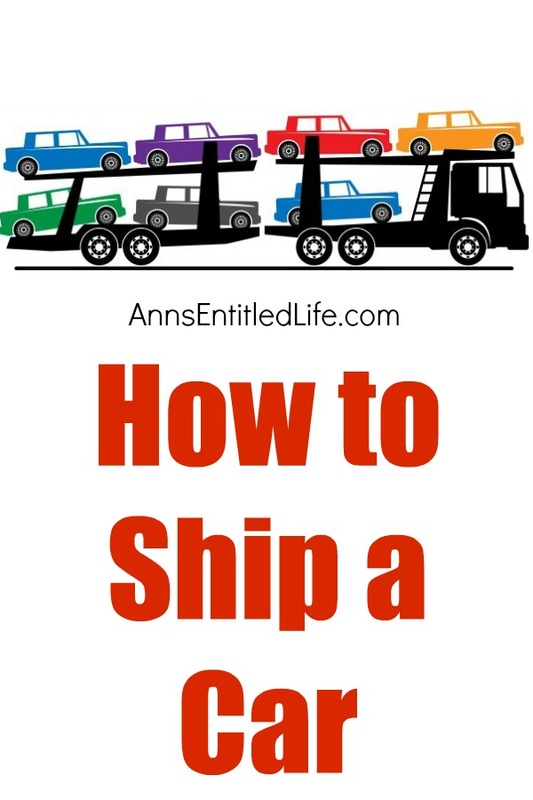 The shippers decide to accept the jobs (or not), and if the job is accepted the car gets shipped. Since the broker undercuts the shippers much of the time, many of those jobs never get filled, or are filled at the last second if a spot on a shipper is empty (a reduced rate ship is better than an empty truck). The broker gets a cut of that sale. So if your quote is for $1000, the broker might get $150 and the driver (or his company) gets the rest. In our case, the broker put Hubby’s vehicle out for several hundred dollars below market to ship (which we did not know at the time), and no one picked up that contract from the board until after the pick-up date was due. That is why our car was never picked up that morning, and wasn’t going to be for days afterward. We, however, also didn’t have a second vehicle down in Florida. Now, one thing I have to say about my husband: he’s persistent. And stubborn. And like a freaking dog with a bone. He wanted his Element down here, and gosh darn it he was going to GET his Element down to Florida. I reminded him that we had actually shipped the last time by dropping of the Element off at the shipper. That worked out very well as we were in no hurry, the shipper loaded it when there was an open spot available on a hauler, and that vehicle was waiting for us when we arrived home several weeks later. So, Hubby began researching some more looking for local drop offs (either one of my brothers or one of Hubby’s friends would have dropped off the Element), or shippers that would pick up. Uship works closely with eBay (for all I know Hubby saw it on fleabay). To use u-ship, you put in an order with them. If the shipment is via an eBay auction, it is very simple – you just tell them the auction number and they take it from there with the particulars. If the shipment is not an eBay shipment (as ours was not), you need to do some inputting: what is being shipped, from where to where, how soon you need it, etc. You can do a fixed pricing option (say it is shipping a vehicle from Chicago to NYC – a fairly common run, it might have standard pricing, you accept, and you are given a shipper), or you can put your ship up for auction. This is basically a reverse auction where people bid to ship your item, and you are looking for the lowest shipping price with a reasonable shipper. There are onsite reviews, and you should make use of them (and do some googling too). The reviews are quite helpful telling you how big the company is, how many trucks, if it is a broker or the company itself, etc. Past customers also leave ratings. Bids will be submitted, or you may be emailed some questions (how large, weight, height, etc.). Hubby said people will email you spammy email too “we are ready to ship”, blah blah blah, so be prepared for that. You do not have to accept a bid. Hubby ended up paying a little more than the broker originally contracted for to get his vehicle shipped down here, and that included the fee he had to pay uship. The driver also has to pay uship a fee. To claim his vehicle on delivery, Hubby gave the driver the uship code instead of cash When the driver redeemed the code, the driver received his cash from uship. A cashless transaction is very nice as a lot of people prefer not to carry a large amount of money on them. Uship is not perfect. The guarantee is pretty lame. And the fees on both ends (what we paid and what the shipper paid to uship) are pretty high. However, they do provide a needed service especially for those in areas without a local shipping depot. • If going through a broker, if at all possible, do not pay a deposit. If you must give one, make it by credit card so you have the option of filing for a charge back if things do not work out. • Have a written contract. Make certain that in your contact you have a firm “pick up by” date so you can cancel the ship if that dates is not met (and get a refund if applicable). • If you do have cargo in your vehicle, note that it will have to be below the windows. • Do your homework. Do some online searching on the company/driver/broker before signing a contract. • Take your second key! And make sure you get the original key from the driver. Do you have any tips on shipping a car!? Please share! When my husband and I bought our Corvette from a “friend” (I some times wonder) who had lived in Oklahoma and had just transferred to Illinois, we used a company called Intercity Lines, Intercity Lines . My husband just told me it was the best thing that came out of that transaction (the car wasn’t what we expected from this “friend”). But they are professional, keep you updated and deliver the car right to your address-drivers are awesome maneuvering those tractor trailers! I’m not sure what your budget is, but maybe you could look into them. Thanks for the recommendation, Irene. I will have my to tell Hubby! Very interesting experience and information. We shipped our vehicles, two, with our move from TN to CA. Was an interesting experience, but worked well. It was picked up when we expected, but then trucked to a local facility and sat there for quite awhile, before it was shipped our way. We were nervous it would not get to us by the time it was supposed to, but it did. So overall worked out. No idea who the car shipping company was, as we were having all of our household goods shipped and that company worked out who did the actual shipping. Skirnir!! I haven’t seen you in forever. Now you are in California? I hope the move went well. Yes, we moved to California about 1.75 years ago and so far, I think we shall remain here. Maybe retire in Wisconsin or somewhere in the midwest, someday. California is an interesting place and hubby has a lot of IT jobs to choose from here. Much more than Wisconsin or Tennessee had. Now to find myself a decent job. Well good luck with the job hunt! I am so glad you like this move and found a place that is “home”.